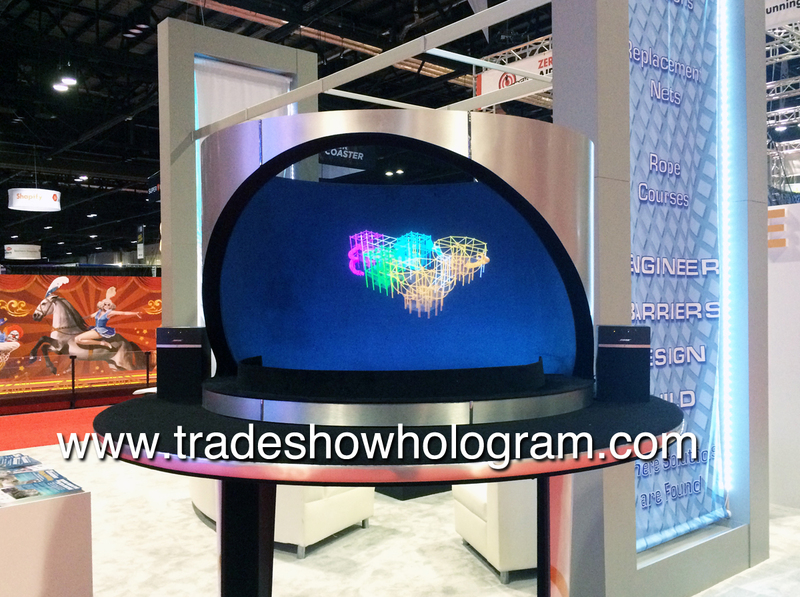 Trade Show Holograms tested a new holographic projection system at the annual IAAPA trade show in Orlando Florida. The display projects 3D holographic video that appears to float in mid air. 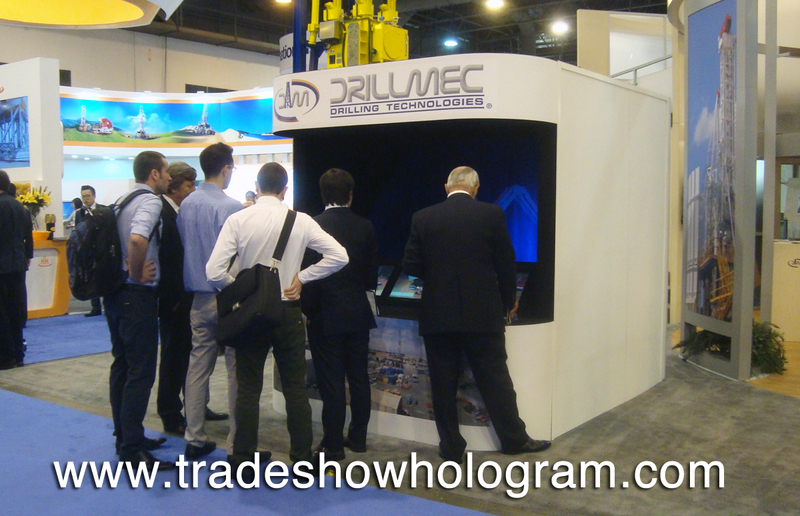 Trade Show Holograms has been developing various advances in Holographic projectors since their introduction to the industry in 2006. Unlike regular 3D video this amazing visual 3D imagery can be seen without the use of any 3D glasses. 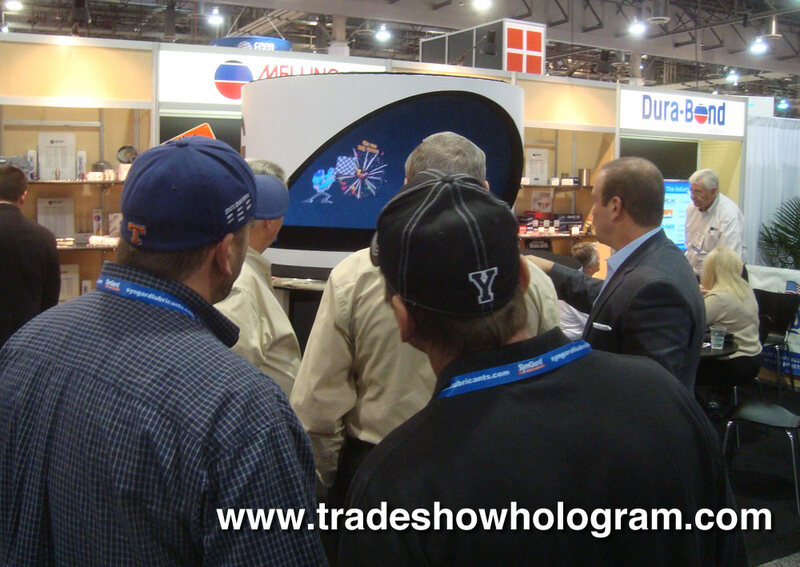 The success of the new enhancements was so well received that all future trade show hologram exhibits created by Trade Show Holograms will feature the new projection upgrades. Enhanced Hologram Projector creates brighter images. Teleconference 3D Hologram makes ASE Conference appearance. ASE attendees were treated to a surprise appearance by Dr. Jim Seward during a holographic presentation by Dr. Partho Sengupta. Dr. Seward was beamed onto stage in front of the surprised audience as a highlight in Dr. Senguptas lecture. 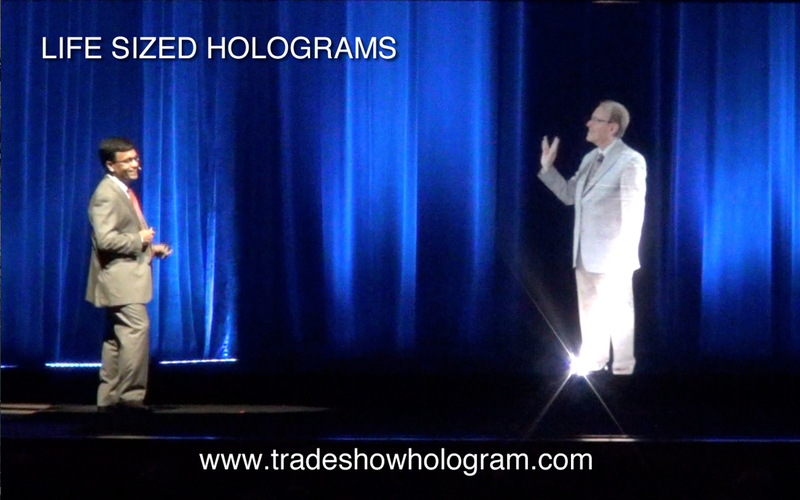 The 3D hologram effect was created by Trade Show Holograms, a company that specializes in creating holographic presentations for trade shows, conferences and press events in the USA and Canada. A 3d hologram projector is used to project the life sized image of the virtual guest who can be both seen and heard by the live audience before his grand exit beam out. 3D Holographic Telepresence appearance on stage with guest speaker.